Dreams came true all the time in the seaside town of Chirelle, but such was not the case for Alena, a struggling artificer forced to eke out a living peddling household goods. 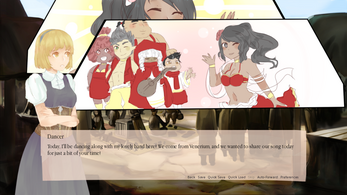 Every passing day, she felt her dream slipping away bit by bit... until she met a stranger from a traveling troupe that would leave her life forever changed. 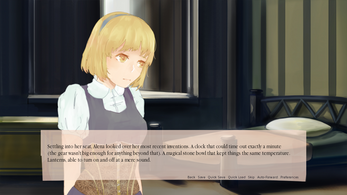 Set in a world of high fantasy, Scattered Notes is a kinetic novel developed for the 2015 Yuri Game Jam. 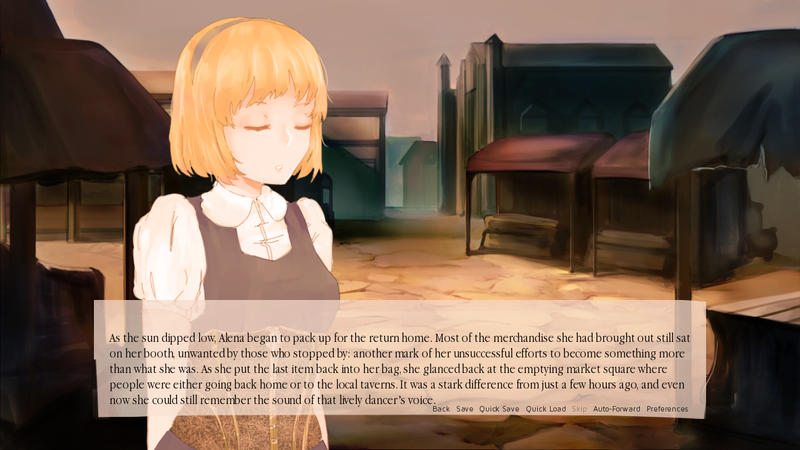 The story has a single route that features two heroines, with a full release projected by the end of 2015/early 2016. The soundtrack can be downloaded for free here. This album will be updated with the full release as there are more tracks that have spoilers. To play the game, simply download the archive and unpack it, then run the executable file. I was very surprised when the story ended after only 8 minutes. There's no mention of this being a demo in the title, and the description states that the full version was supposed to be out two years ago. The info should be updated. Anyway, what I played so far was very interesting, and I hope to see this completed soon! I read in the description that the full version is expected to be out in early 2016 and I was wondering if there was any update on when it is likely to be released. 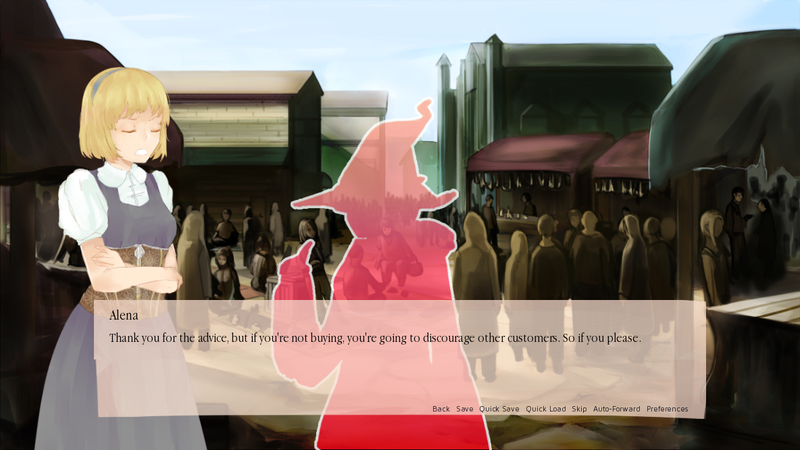 It's still in the works -- we had to redo a lot of art assets and rewrite some script. Hopefully we'll have an update soon! Is there an update coming out any time soon? It was a very enjoyable demo! The writing flowed well, the music was lovely, and the use of panels to show how dynamic the troupe's performance was worked very well. I look forward to seeing the full game - I want to know what happens next! Thank you! We're in the process of finalizing art assets, so expect an update soon!